My, oh my – the confusion regarding eggs – and which eggs people should buy is very hard to digest (no pun intended). We often wonder if it’s done on purpose. You know, so many terms, phrases, all with loose definitions, etc. And by now in 2018, I’m sure most people have at least done some research on what all these terms mean. But are you any closer to really understanding? Or have you been coerced to believe one fact over another? Without completely duplicating what’s already perceived by many – we’ll do a brief summary instead. Supermarket eggs – why so many different labels? As can see here – so many ways to call a chicken egg, an “egg.” But we’ll try to simplify in a way that is easier to digest. Cage-free and free-range eggs. These terms don’t really mean all that. Cage-free just means not locked up like sardines. However, there are typically still 10,000 chickens in a cramped room. Same with free-range, except they have limited “access” to a small door to go outside (not necessarily to roam grassy acres). Most chickens never find the door, or just stay inside. Negligible difference between these kinds of eggs, and the lowest cost ones. Organic eggs. Just means the feed qualified as organic. Organic foods still have pesticides on them. Just what is considered “organic.” And these chickens probably have the same limited access as the eggs from chickens labeled as above. “Organic” is a powerful word that we feel often misleads many people. But then there is a “musical chairs” aspect of which exact words you see in conjunction with another. You’ll see organic with cage-free, but rarely pasture-raised with organic. Isn’t that odd? There are other “labels” as well, but we feel they’re relatively insignificant (antibiotics, vegetarian, etc.) and are more like marketing tactics. See this chart as a handy way to decode your egg options. One quick way to compare eggs – is to look at the color-depth of the yolk, and the consistency of the white. If the yolk is dark and rich in color (not bright light yellow), then you’ve got yourself an egg that is rich in vitamin A as well as many other nutrients. Same holds true for the white. If it’s very thick as opposed to runny – that is a sign of a great egg. And also – a “heavy duty” shell is another good sign of a healthy, vibrant egg. Besides the supermarket – and depending on where you live, your ideal option is to buy eggs from a local farmer. 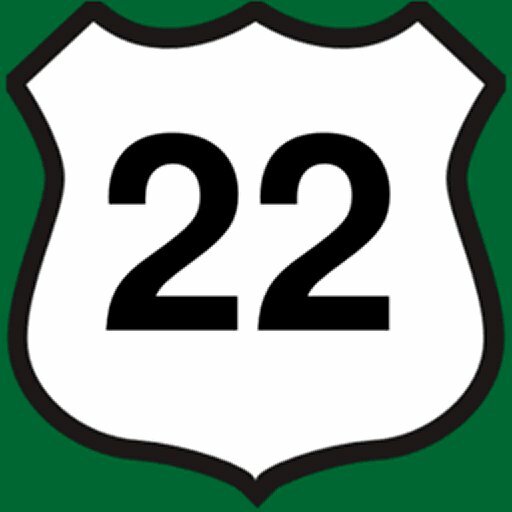 There are many options out here along Route 22. Especially in the central zone or western zone. And even if your local stores don’t have eggs from area farmers – weekend farmers markets are almost everywhere these days. For instance – a good health food store in Clinton, NJ (as well as Flemington, NJ) is Basil Bandwagon. And they carry several different local farmers eggs. We happen to like the Pittstown Eggs because of the moderate price point ($4.99 a dozen). ROADSIDE Local eggs are even better – no middlemen! Otherwise – some residents/farmers in rural neighborhoods simply leave their eggs in coolers by the side of the road. Most of the time, these eggs can be as low as $3.00 per dozen. But the average going price is around $4 a dozen. And it works on the honor system. You cut out the middlemen, and the eggs are naturally a bit cheaper for you, the end consumer. Ideally, you’d probably want to be sure that whatever “local farm on the side of the road” you buy from has been doing it for a while, with many repeat customers. Which is why it would help if you had one closer to where you live – so you can vet them out, speak with them personally. Not always convenient for everyone along this route. But they exist! We love roadside eggs the best! So what’s all the fuss about eggs anyway? If you ask us – if you only eat a few eggs a week, it likely doesn’t make a difference if you use the best eggs or the low-end supermarket eggs. For your health, that is. We highly doubt that run-of-the-mill eggs are going to literally harm you if you only eat them occasionally. The way information is propagated these days usually involves a lot of fear to steer your shopping habits. However – the local farm eggs will always, always, taste better. And likely be free from any “corporate” manipulation or sneaky chemicals. In other words, chicken eggs like they used to be back before profiteering and influence was ever born. People just grew and ate food. But if you eat a LOT of eggs (a couple dozen per week), it’s probably prudent to consume the most healthy and nutritious ones anyway. And local farmer eggs are your ideal choice. Like many other aspects of our lives – people typically strive to win. To have the best. And once the rabbit hole is created when it comes to the “good and bad” of eggs – some folks go overboard. They could become obsessed with these mysterious eggs they have no first-hand knowledge of where that egg TRULY came from. They tend to “buy in” to the marketing and labeling of what is on the package. Or what some company claimed their product is about. Unless you were there to personally witness the whole process from start to end – for that exact dozen of eggs you bought – you’re essentially taking people for their word. It’s amazing how a phenomenon like “organic” can sweep some folks off their feet. Almost to the point where they conclude that anything non-organic will literally KILL them. We’ve seen this first-hand. They treat non-organic as actual death. Of course, there are disparities in quality for products available to us today. But do we really know what the tangible differences are? Are “el-cheapo” eggs really so bad for you? Will you become sick as a result of eating them? Cage free hens don’t seem to happy either. Are there benefits to eating pasture-raised, locally-sourced eggs? Sure. They taste better and usually have improved nutritional value. But they’re not going to turn us into people with superpowers, nor will they extend our lives, and so on. Anyway, that is why we suggest being sensible about your choices. If money is tight, and you still love eggs – go ahead, buy the lowest priced ones (ALDI has eggs for under a buck a dozen – we’ve had them, and they were just “okay.” Probably will not buy them again.). You will not perish from a painful disease. Don’t let the fear of “bad” eggs decimate your bank account. You’ll be fine, for sure. If you are financially comfortable, your choices are better. You can buy any egg you want. Whether it’s the eggs with the best and happiest labels – or even the ones that you enjoy the most. The choice is yours. In today’s day and age – most things about our lives have become utterly complicated. Mostly via marketing, news, and other unnecessary information about what we should and shouldn’t do. People are almost like lab rats. Reacting and deciding this and that, and much of the time it’s utterly minute and trivial what we get all wrapped up with. If you ask us – going back to basics is the best. Find a local farmer. Buy his or her (or their) eggs. Getting away from the mind-numbing part of simply living and eating is a great first step towards contentment.